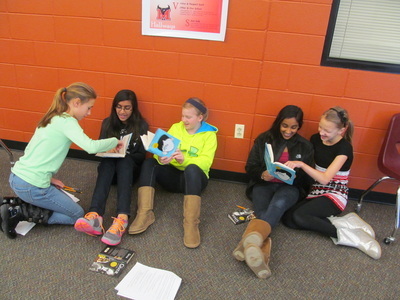 2013 OFEE Grants in Action! 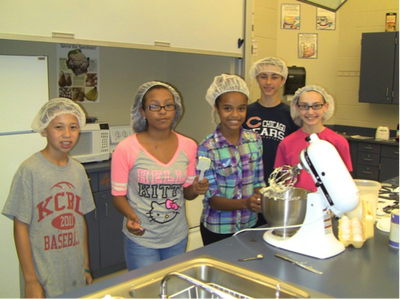 Students in Mrs. Nemetz’s Family Consumer Science / Child Development class at Bednarcik Junior High were the first to try out the new KitchenAid stand mixers purchased over the summer through the grant from the Oswego Foundation for Educational Excellence (OFEE). Three mixers were purchased to aid in the FCS curriculum as a lesson in technology in the kitchen. These students are shown working on the snack to be served at one of the three student-led miniature pre schools held at Bednarcik in October. The pre school activity culminates a quarter long study of the development of the child from birth to age 5, with an emphasis on caring for the needs of young children and the importance of early childhood education. 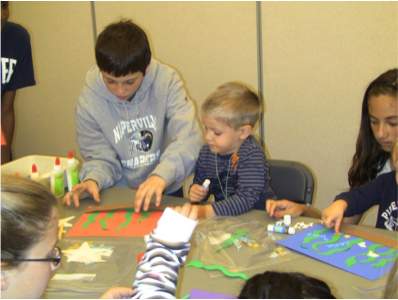 The picture below is representative of just one of the activities provided by the 7th and 8th grade students for children aged 3-5 during the one hour event. The junior high students were responsible for the planning, organization and presentation of a craft, game (physical activity), story (drama, music, puppet show) and snack for the young siblings/neighbors/children of BEJH staff who were invited to participate. 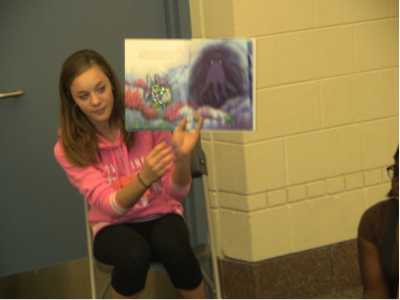 Each class was required to create a bulletin board based on the theme chosen and to actively participate in each of their assigned activity as well as interacting with the children. The sixth grade LA students and Language Arts teachers at Murphy Junior High would like to extend a HUGE THANK YOU to the OFEE, for granting us money to buy novels for our literature circle unit. Attached, are some pictures of the kids enjoying and discussing the books. The unit was an overwhelming success. Here are some of the kids' comments. "This was the best book I've ever read in my LIFE!" "I loved that there was a non-fiction option. 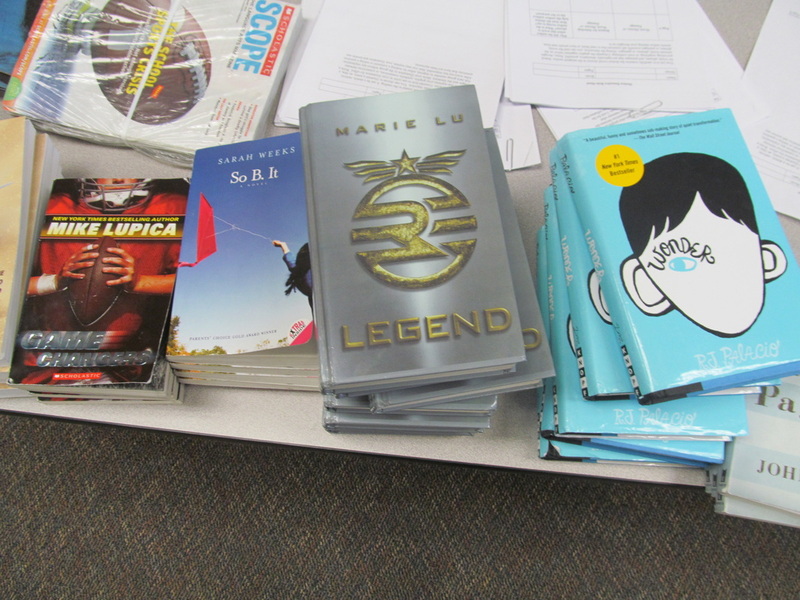 Usually, literature circle choices don't include that! It was cool to learn about WWII." "Can we do this unit again?" 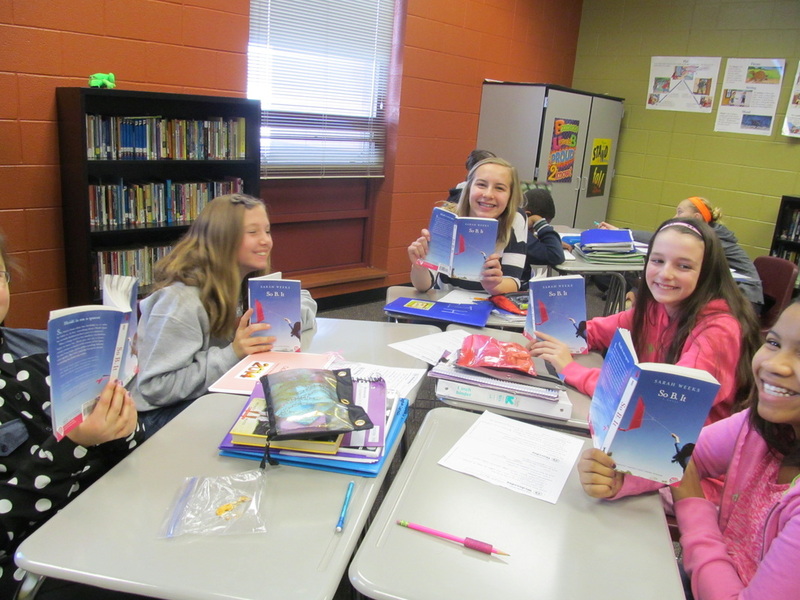 "I loved discussing the book with my group. I felt like we were in a coffee shop just talking!" 'I liked the books and how some of them were fiction and some were non-fiction. I like that we had a choice." "It was fun and I felt there was a lot of freedom in choose the book, so everyone got to explore what they liked. The jobs were fun and challenging!" Thank you again for providing the kids at Murphy this awesome educational opportunity!